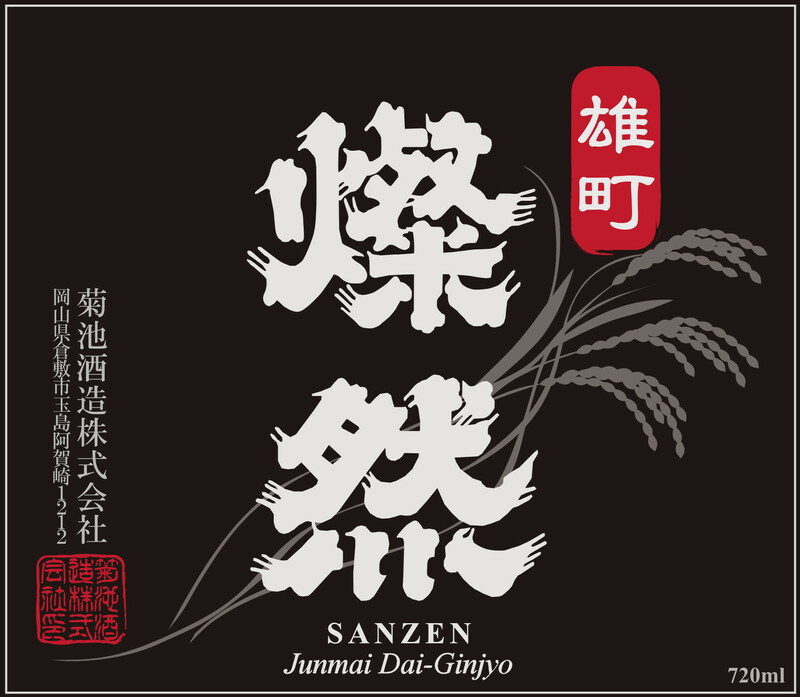 Sanzen Black Junmai Dai Ginjyo is brewed from 100% Bizen Omachi rice. Elegantly structured, balanced, and nuanced. Ripe nectarine, green fig, Muscat, golden raisin, and purple wildflower aromas fill the nose. It has an unctuous mouthfeel, but is lean, and bone-dry with racy minerals, plum, blossom, and a subtle savory edge. Clean, balanced, and complex.